Don Bachardy was born today, May 18, in 1934. He is an American portrait artist and also known for being the partner of Christopher Isherwood for more than 30 years. Born in Los Angeles, California, Bachardy studied at the Chouinard Art Institute in Los Angeles and the Slade School of Art in London. His first one-man exhibition was held in October 1961 at the Redfern Gallery in London. 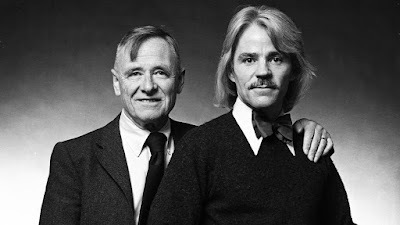 He met the writer Christopher Isherwood on Valentine's Day 1953, when he was 18 and Isherwood was 48. 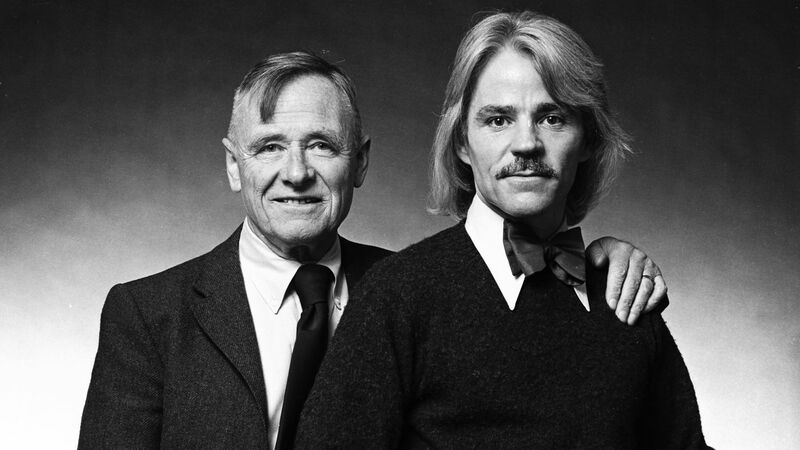 They remained together until Isherwood's death in 1986. A number of paperback editions of Isherwood's novels feature Bachardy's pencil portraits of the author. A film about their relationship, titled Chris & Don: A Love Story, was released in 2008. 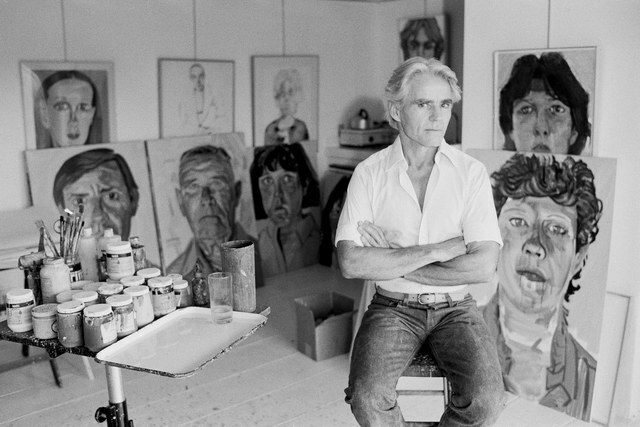 Bachardy has had many one-man exhibitions in Los Angeles, San Francisco, Seattle, Houston and New York. More recently, he exhibited at the Huntington Library in San Marino, California, in 2004–2005. His works reside in the permanent collections of the Metropolitan Museum of Art in New York, the M.H. de Young Memorial Museum of Art in San Francisco, the University of Texas, Henry E. Huntington Library and Art Gallery, San Marino, California, the University of California, Los Angeles, the Fogg Art Museum of Harvard University, Princeton University, the Smithsonian Institution, and the National Portrait Gallery, London. Six books of his work have been published. His life and works are also documented in Terry Sanders' film The Eyes of Don Bachardy. He collaborated with Isherwood on Frankenstein: The True Story (1973). His book Stars in My Eyes (2000), about celebrated people whom he had painted, became a number one best-seller in Los Angeles. Bachardy's most haunting and eloquent published collection, "Last Drawings of Christopher Isherwood" in 1990 contains the dying and deceased Isherwood for the last time in his eyes. One of Bachardy's most notable works is the official gubernatorial portrait of Jerry Brown that hangs in the California State Capitol Museum. Most recently, Bachardy made a cameo appearance in the movie A Single Man (starring Colin Firth) based on Isherwood's book of the same name—he portrays a professor in the teacher's lounge, to whom Firth says "Hello. Don." Bachardy told Angeleno Magazine in their December 2009 issue: "Chris got the idea for that book when he and I were having a domestic crisis. We'd been together 10 years. I was making a lot of trouble and wondering if I shouldn't be on my own. Chris was going through a very difficult period (as well). So he killed off my character, Jim, in the book and imagined what his life would be like without me." Bachardy still lives in his and Isherwood's Santa Monica home (his place of residence for more than 50 years), where he paints portraits for gallery shows and on a commission basis. In January 2010 he showed a retrospective of self-portraits (from 1959–2009) at Craig Krull Gallery in Santa Monica. 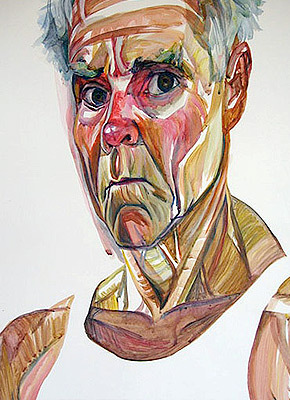 In Fall of 2011, Bachardy exhibited portraits made over the last 40 years depicting artists from Southern California. All 33 paintings were purchased by a New York collector on the board of the Whitney Museum.